Well, ok - you made me cry you little stinker!! 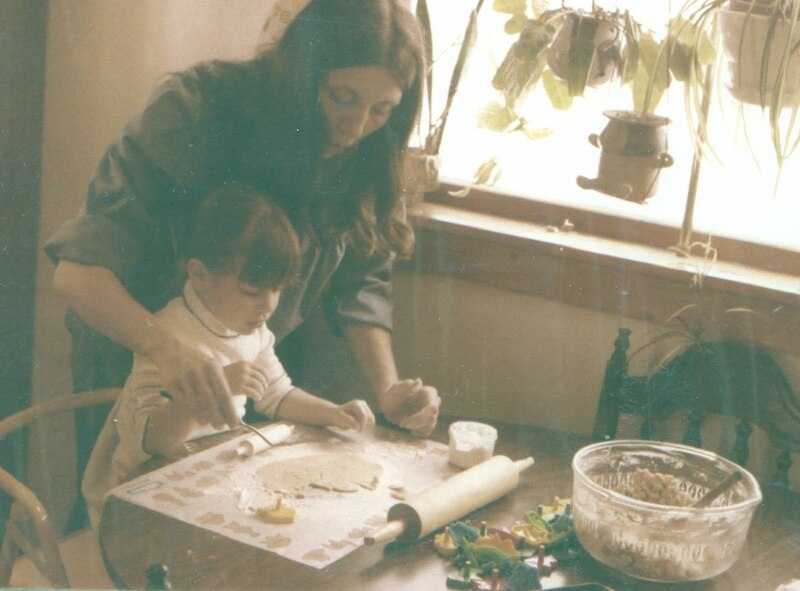 I love that picture of you and I and have wonderful memories of making cookies with you!! Love you!!! Kelly, I also have a similar memory but mine was baking powder, not flour. Mom came around the corner right when I'd put it in my mouth and laughed so hard she cried at the sad little face I made when I found out it wasn't sweet like the sugar. This looks like a delicious recipe. I think I'll make it tomorrow. I can remember baking with your Mom and you running around us wanting to help. You're definitly right though, your Mom is cookie baker #1. Just made these. They're beyond tasty. But only made 3 dozen, not 6...Don't think my cookies are too big. Don't know what happened. Thanks for the comments peoples, it is so nice to know that people are reading. Aw, what a lovely story! Thanks for sharing.